This project came to life at the 20th anniversary of the death of René Thomas. It brings new life to the original compositions of the Liège-born guitarist, which are too rarely heard. 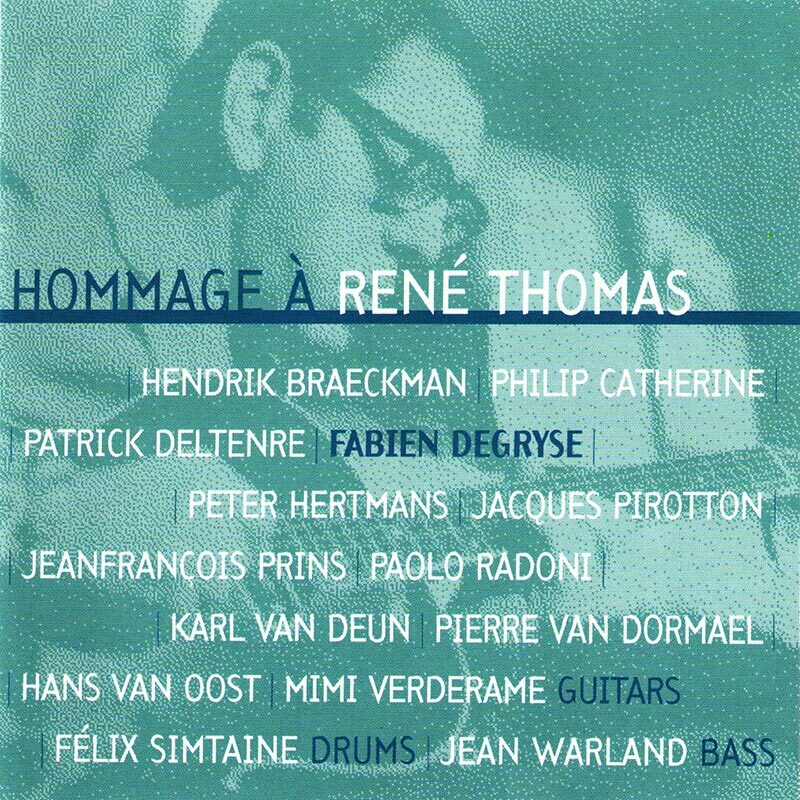 Thanks to guitarist Fabien Degryse, the music of René Thomas becomes both lively and bold. Surprisingly, most of the musicians only later discoverd the originals. Their enthusiasm during the sessions proves that the tradition of Be-Bop, which he pioneered in Belgium, was given a specific character by René Thomas who’s charm remains intact. Fabien Degryse created the guitars’s big band in 1995 including 8 guitarists and a rhythmic session with René Thomas ‘s ex-partners Félix Simtaine on drums and Jean Warland on bass. But this CD presents also recordings of duos, trios or quartets with Philip Catherine, Pierre Van Dormael, Karl Van Deun or Mimi Verderame.